5 1/4 by 8 inch blank paperback book containing 42 autographs (some duplicates) in red ballpoint from the 1976 PGA Tour Westchester Classic golf tournament. 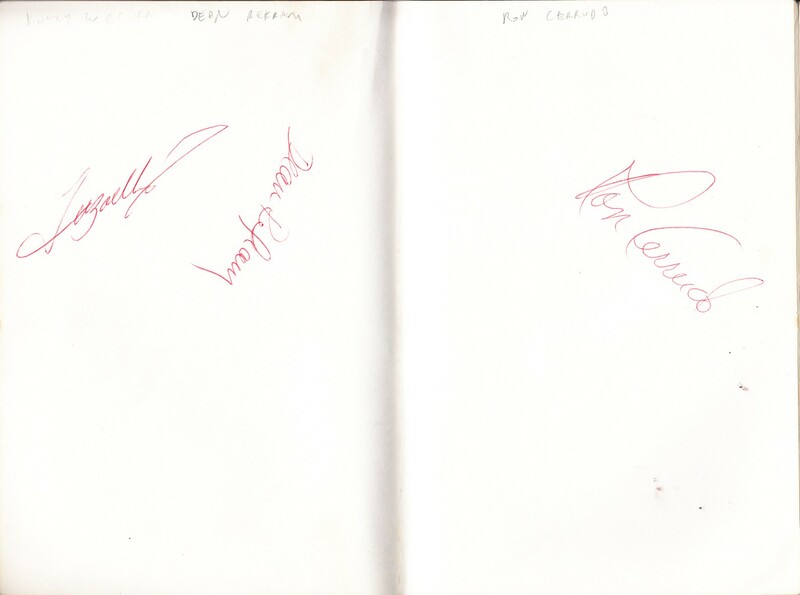 Some autographs are on the same page or on opposite sides of the same page. Complete list: Masters winners Fuzzy Zoeller (signed twice) and Charles Coody; U.S. Open winners Hale Irwin and Tom Kite (signed twice); PGA Championship winner Dave Stockton; plus Rik Massengale, Terry Dill, Mac McLendon, Don Bies, Rex Caldwell, Ron Cerrudo, Bill Calfee, Kermit Zarley (signed twice), George Johnson, Mike Reasor (signed twice), Dean Refram, Mark Hayes, Bob Eastwood, Don Iverson, Allen Miller (signed twice), Gene Frank, Stanton Altgelt, Forrest Fezler (signed twice), David Lundstrom (signed twice), Terry Diehl, Mason Rudolph (signed twice), Mike Mitchell, Bill Collins, Richie Karl, Don Pooley, Woody Blackburn, Dave Newquist, Mike Odom and Frank Conner (not listed on leaderboard, probably withdrew before tournament began). 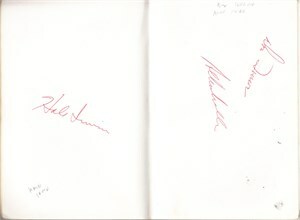 Book has moderate flaws and wear typical for its age but all 42 autographs are bold and clean. 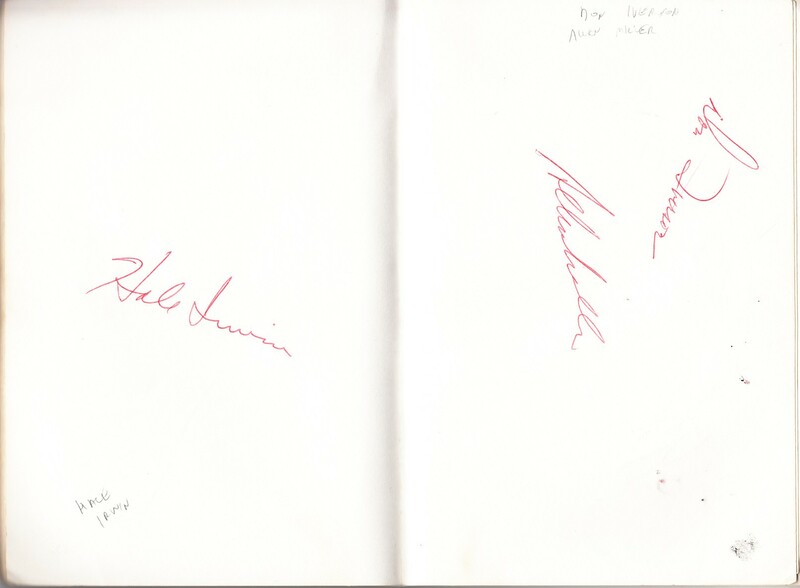 Several pages have been completely removed but the binding is intact. Purchased from the original owner who obtained every autograph in person at the tournament. With certificate of authenticity from AutographsForSale.com. ONLY ONE AVAILABLE FOR SALE.